The Black Lightning TV show premieres in less than a month, and Jefferson Pierce is gearing up for a return to action. 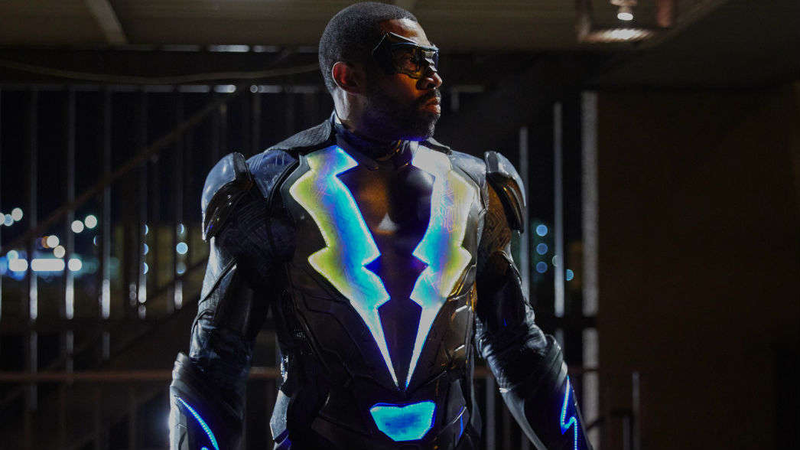 The brief new trailer, courtesy of The CW’s YouTube channel, offers a deft impression of the crisis that pushes Black Lightning, who has the power to control electricity, back into the fray after almost a decade out of the vigilante game. His hometown is getting worse, and he wants to help, and even if it’s dangerous, it’s worth it. “I can’t save the world,” Pierce tells one character. “But you can save your piece of it,” the other character replies. And that’s a compelling argument. Can I just say how much I really dig this premise? The older-hero-coming-out-of-retirement trope is a good one, and I’m interested in seeing it play out in a serialized TV format. Plus, it lets the show skip the boring backstory. And an older Black Lightning lets the show play up the angle of communal responsibility and civic engagement, letting the show play as a fable of adult responsibility. While superhero stories so often tell stories that feel like allegories for adolescence, or stories of arrested development, this iteration of Black Lightning has the potential to be about the challenges of balancing responsibilities as a real, honest-to-god grownup. I’m way into that. Check out the trailer below. Black Lightning premieres on The CW January 16th at 9/8central.